Electrosurgery or electrocautery is a surgical procedure that can be used to remove skin moles. The process involves the application of an instrument heated by an electric current on the area in consideration. It may also involve the physician cutting the skin mole off. It is important to have a general check-up before this skin moles treatment and you should inform you physician about any medical condition you might have prior to this treatment. Inform you physician also if you are allergic to any numbing agent used. This procedure may involve the use of a local anesthetic. Therefore after the anesthetic is applied, and the area cleaned thoroughly, the heated needle or blade is applied on the skin mole. 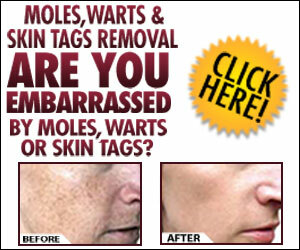 The skin mole is burned and afterwards it is removed by the physician. A specimen may be sent to a laboratory in order to be examined by a pathologist. After the wound is bandaged, instructions are given so to take appropriate care of the wound. The procedure may be painful and some discomforts may continue for some days even after the treatment. It is important to take the utmost care so to avoid an infection. If an infection is suspected the physician should be contacted immediately. This skin moles treatment procedure is a quick may to remove your growth but it may also case some scarring. The scarring depends on many factors related to the skin mole removed, the individual being treated as well as other factors. Healing time may be long but this depends also on the healing abilities of the individual.